"I will not stop trying to create a better future for children and teenagers diagnosed with brain tumours. I owe that to my son Skye who, in his own words, wanted to "help doctors help other children get better." 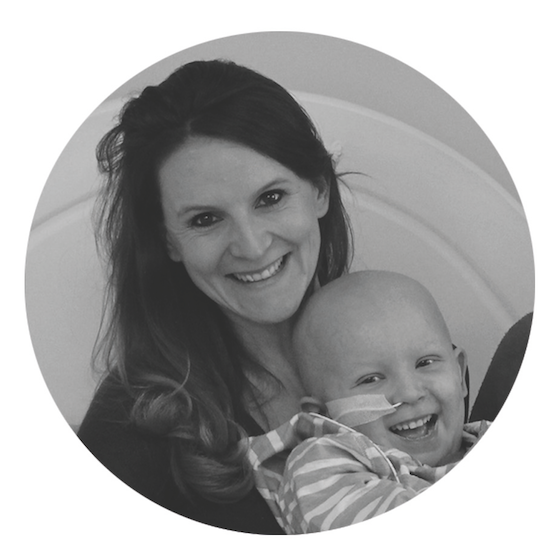 Sally founded the Charity after discovering a big void in relation to childhood brain tumour research and the data collection on treatment efficacy within the charity sector. She now works full time for the Charity on a voluntary basis, alongside caring for her other two son's Jesse and Flynn. "I am passionate about making a difference for those children who are unfortunate enough to be diagnosed with a brain tumour." Andrew grew up in South Africa, and moved to the UK in January 1996. He started his teaching career in Scotland and is now serving as a Deputy Headmaster. He has always enjoyed physical challenges and whenever possible he gives of his energy and time to fundraise for the Charity. In 2015 he undertook an epic adventure from Blenheim Palace to the Isle of Skye to raise awareness and raise vital funds for research. "I am truly honored be part of such an amazing charity which strives to help and give hope to children diagnosed with brain tumours and their families." Victoria joined the board of trustees in July 2014. She read Law at Oxford University and is currently an Associate Solicitor with law firm Knights, specialising in employment law and business development. Victoria is passionate about protecting children and is an Accredited Safer Recruitment trainer and Safeguarding Officer for her local church. Victoria had the great pleasure of knowing Skye since he and her son Monty were babies together in their local singing group. She lives in Oxfordshire and is married with three children. "I had the pleasure of meeting Skye when our company delivered his hot tub wish. He touched my heart and gave me the boost to “make the most of what I’ve got”. After pledging to run 500 miles for Skye in 2015, you could probably say I’ve caught the running bug, as I haven’t stopped since." Together with her husband Keith, Lisa owns a hot tub business and motor vehicle aftersales business. They have five children between them. "I am Skye's younger brother. He asked me to help him get his loom band to the moon when he could not do it himself any more. Skye is my hero and I miss him playing with me. I grew up on the ward as I visited Skye nearly every day. I played with lots of the children there and they were really nice. I want to make them all better and make it fun for them in hospital." Jesse is very involved in numerous charity events and takes immense pride with his special place in the world. "I remember meeting Skye for the first-time on a chilly December evening. He was a 'cwchy' (as we say in Wales) bundle of loveliness and I was so happy to see Sally blossom into motherhood. Skye is simply special, the fortitude and courage he displayed as he battled to get better, was beyond me. I looked forward to my chats with him on the ward, and his humorous, adult-like take on the world. He had a mischievous sense of humour. No child should have to die because of this disease and Skye knew he wanted to help other kids just like him. It's a pleasure to help Blue Skye Thinking, anyway I can, from tapping up celebrities, supporters, fundraising and simply just being there however I am needed." "I will be studying IT in College. I want to help BST because I had a brain tumour and want to help people going through the same thing as me. I was diagnosed with an anaplastic oligodendroglioma in March 2010." "My name is Ophelia and I'm 10 years old. I like to horse ride, love baking and making arts and craft projects. I know Skye because I loved to play with him in hospital. We used to sit on each other's beds and make things together. It was always loads of fun. I got involved with Loom to the Moon and helped my friends get involved too. With everyone's help we managed to achieve it. I'm now excited to be helping Blue Skye Thinking even more and can't wait to help with lots of things."